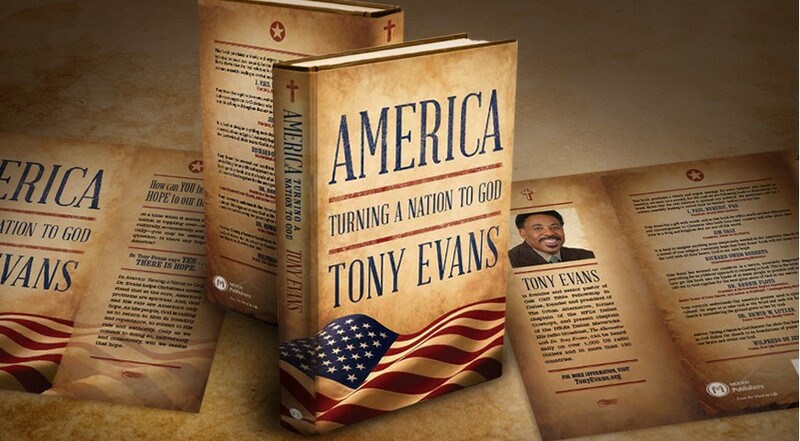 America: Turning a Nation to God is written by Dr. Tony Evans and published by Moody Publishers. In this illuminating work by Dr. Evans, he examines the root of our nation’s social, economic and political unrest. Through insightful truths and illustrations, Dr. Evans not only brings to light the core cause of our country’s current instabilities but also presents a plan for reclaiming freedom, morality and strength. We hold within the collective body of Christ not only the power but also the capacity to put our country back on the path of ascendancy. This straight-forward teaching, when embraced by believers in our nation, will usher in the greatest revival in American history. Moody Publishers asked Design Corps to create multiple concepts for the dust jacket of this new hardcover book. We started by looking at the many past Tony Evan’s titles. 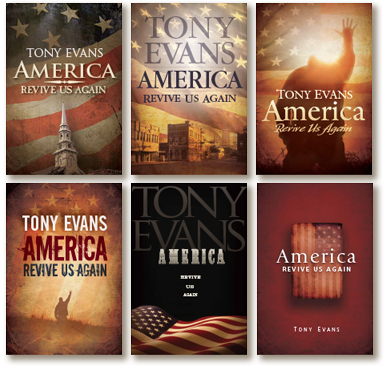 At first we wanted to combine persistent font treatments from his past titles with patriotic themes to keep any existing Tony Evans branding. And, of course, we wanted to emphasize the author’s name. But branding was not consistent. So from there we went to using more 19th century styles of typography to emphasize a looking back at the spiritual history of the United States. The design selected was intentionally simple yet rich in color and texture. Final dust jacket cover included embossing and a foil stamp was created for the hard cover beneath.